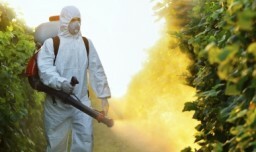 According to AVAAZ, Glyphosate brings in $6 billion per year and is the basis of RoundUp, the chemical cornerstone of Monsanto’s Genetically Modified empire. AVAAZ claims that RoundUP ignored studies showing glyphosate are unsafe. But these scientists are 17 of the world’s top oncology experts and comprehensively reviewed independent studies. AVAAZ further claims that regulators rely mainly on tests done by the companies trying to sell the poisons! Key results are kept from the public because they contain ‘commercially confidential information’, and 58% of the scientific panels in the EU Food and Safety Agency are linked to the sector.